Two Scottish businesses – Sunamp, and Glaze & Save – have successfully made it all the way through the RBS Innovation Gateway. Following initial publicity, 140 businesses from across the UK and beyond applied to take part. An entertaining selection process, involving ECCI and other experts, finally concluded in London on Monday with an opportunity for the top 20 to pitch their ‘market ready and garage tested’ propositions to a panel of ‘dragons’. The dragons were Martin Chilcott (2degrees Network), John Elkington (John Elkington), Stephen Howard (Business in the Community), Caroline Rainbird (RBS), Maggie Philbin (Teentech) and ECCI’s very own Ed Craig. 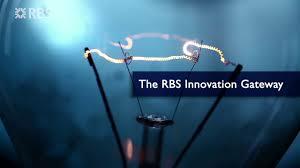 The ten innovations chosen will be fast-tracked into a trialling phase in appropriate RBS buildings (e.g. offices, branch banks or data centres), and it is hoped that all will benefit from the lessons learned and the case studies generated. The most successful should then find wider use within the RBS estate, helping RBS achieve its resource efficiency goals. Glaze & Save is run by Perth-based entrepreneur Tanya Ewing. Tanya, who was recently awarded an Honorary Doctorate of Technology by Edinburgh Napier University is already a well-known low-carbon inventor and innovator through her role in developing and bringing to market the ‘Ewgeco’ real-time energy monitor, designed to help people understand and engage with their energy consumption at home and work. Lately, Tanya has acquired an innovative secondary glazing system from the Blairgowrie insulation specialists Proctor Group, which she is now successfully bringing to market. The final selection panel (as well as the subject experts who assessed the written applications) recognised the potential fit between her system and the RBS branch network, which includes many traditional and listed buildings with unimproved windows. Glaze & Save is a secondary glazing system consisting of a polycarbonate sheet held in place with magnetic strips. As such, it is easily removable (for the summer months), it virtually eliminates draughts, significantly reduces conduction heat losses, and offers additional benefits such as improved acoustic insulation and reduces the instances of condensation on the inside of the window. The system is already being tested in-situ out by friends of ECCI in their own homes, and is being helped by Edinburgh Napier University which has played a significant role in providing technical support for both of Tanya’s ventures discussed here. Sunamp is run by Andrew Bissell, another serial entrepreneur, well-known in the Scottish low-carbon scene. After Andrew sold the successful medical imaging company (Voxar) which he co-founded, he turned his hand to the low-carbon market. He recognized then that low-carbon energy systems of the future (now the present!) will have a greater reliance on energy storage – and heat storage in particular had received very little attention from innovators since the invention of the insulation jacket for the hot water tank. Working with a number of partners, including chemists at the University of Edinburgh, Andrew has developed a high capacity but compact heat storage system using phase change materials. These have been designed to optimize the performance of integrated energy systems involving solar heating, heat pumps and electricity tariffs with a time-of-use element, for instance. The system has won significant funding from the UK Department for Energy and Climate Change to trial the performance of a system involving heat pumps and Sunamp products, working with Berwickshire Housing Association. Congratulations, too, to Tantallon Systems (Livingston) and Greenspace Live (Stornoway) for making it all the way to the final twenty, and we hope that these businesses will eventually earn a try-out with RBS or one of its partners in the Innovation Gateway. ECCI has supported these businesses for around three years, and looks forward to identifying early adopters and other willing partners for more innovators in the future. For further information, please speak to ECCI business manager (and Gateway technical reviewer) Jim Hart. Four companies from ECCI’s Scottish low carbon innovation community have been selected as finalists in the RBS Innovation Gateway; a new initiative searching for ways of reducing energy, water and waste. ECCI has supported the progress of these four businesses from around Scotland (Lothians, Tayside, and Western Isles) for one to three years, for instance with technology development, grants, and investment. The ideas came from innovators and small businesses (SMEs) around Britain and the world, from Perth in Scotland to Perth in Western Australia. The best ideas will be tested on the RBS estate of 2,500 buildings and branches in the UK.